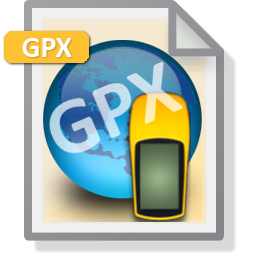 ExpertGPS is the ultimate GPX solution for transferring GPX files to your GPS, converting GPX files to file formats like KML, SHP, and DXF, and for creating your own GPX maps. ExpertGPS uses GPX, the GPS Exchange Format, as its native file format, so you can take advantage of all of the Web sites and other programs that distribute GPS data, geocaches, and hiking and running trails in GPX format. Dan Foster, designer of ExpertGPS, was one of the original authors of the GPX interchange format, and has invested hundreds of hours in ensuring that ExpertGPS is the software program of choice for creating, editing, and converting GPX files. With ExpertGPS, you're getting a complete mapping solution that is 100% compatible with GPX files from any source on the Internet, and that works with hundreds of GPS receivers.